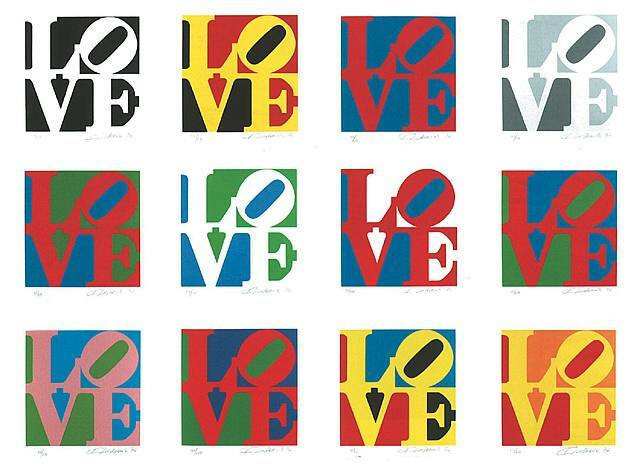 Robert Indiana's LOVE is iconic. The image has been used, reused, overused, and abused. What is it about this "simple" work that has captivated the world(and really..I don't over state the appeal). First, we have to realize that it is not as simple as throwing letters together, and calling it art. There was thought, sketches, redesigns, and different implementations of the idea before we as observers of LOVE ever saw the finished product. LOVE started somewhere deeper than we know. 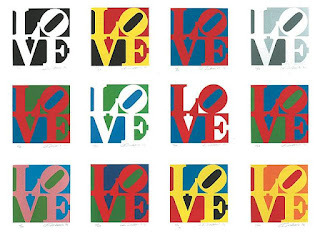 If you read up on Robert Indiana & his work...you might come upon theories behind this work. But you can rest assured, LOVE is not as simple as it might seem. In John, Jesus gives a "new" commandment. The command is to love. Seems simple enough, right? I can do that! Well, maybe not the person at work that gets on my last ever loving nerve! I'll just like them. Oh, and those people that make fun of me because of my faith. I really don't love them all that much....they are jerks! What about people that beg me for money, but never seem to do anything for themselves. They are so annoying. Those people that do those things I disagree with...God's going to get them for that!!! They don't deserve love! I was being a bit overly dramatic, but I hope you see my point. Loving others isn't always as easy as it might seem. We find a million reasons to justify why we don't have to show the same kind of love, compassion, and grace that was given us! It might not be as dramatic, but love can be a challenge for us in many situations. If we have been hurt, if we lack understanding, if we think more highly of ourselves than we should....love doesn't always come so easy. Many times we feel if we're going to put our necks out there and love....by golly we better get some reciprocation. That isn't really how love works. Love is not as simple as it might look. However, for those of us who KNOW the Lord....we have the perfect example in our lives. Jesus modeled love with His life, death, and resurrection. If He lives in you...you KNOW love. It might not be easy to live it out at times, but trust the Lord to develop this in your life. He has called us to love....the only way you can know Him & make Him known is LOVE! Lord, love seems like a simple command,but can be such a struggle. Help us to put away our hurts, personal agendas, and misunderstandings so that we can love as You have loved us. Help us to get out of the way...so that others can see Your love in us & through us. Great words to start the school year! Our professional communities need this love too. Love this! Thank you, Ted!